Comical, charismatic and social mongooses living in southern Africa. Have ears that can open and close to keep out the sand when they are burrowing.. Uses its tail to balance and as a signal. Live in groups of between 10 - 30 individuals. The pups remain underground for three weeks after birth. The pups are born hairless and don't open their eyes for two weeks. 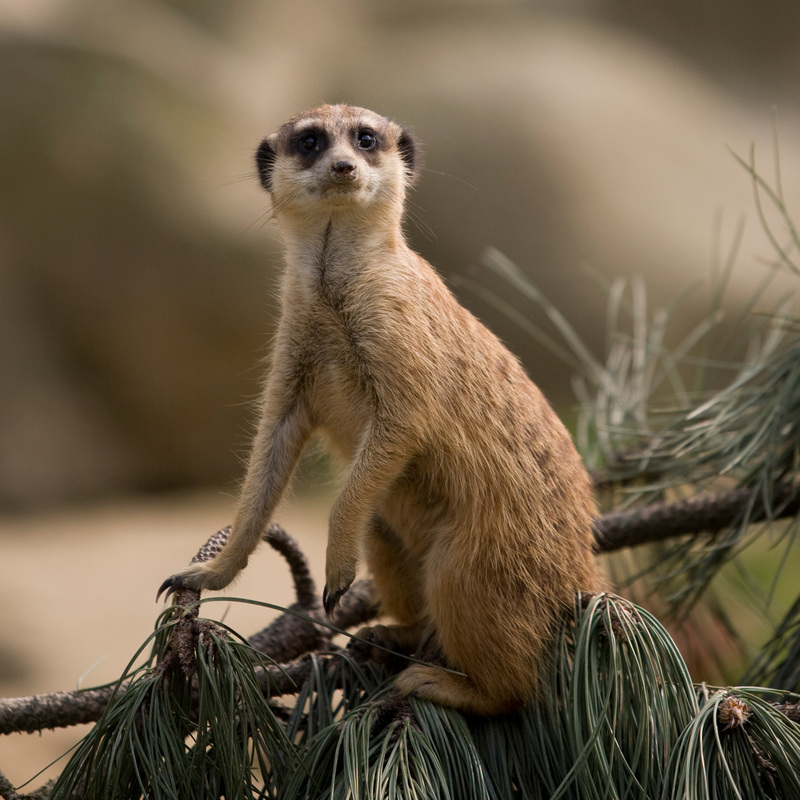 Older meerkats 'babysit' in turns, until the pups are old enough to come above ground. Like to groom and sunbathe in the early morning. Eat insects, birds, plants, eggs, lizards, scorpions, spiders, snakes and small mammals. Main predators are eagles, falcons and jackals. Live for about 12 - 14 years. Can run at about 37 miles per hour. One member of the group will act as sentry, standing on its hind legs on a high vantage point. 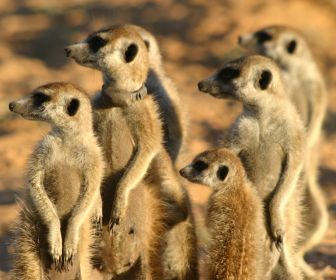 Meerkats are a member of the Mongoose family. The catchphrase 'Simples' is so popular that it is about to gain entry in the Oxford English Dictionary.